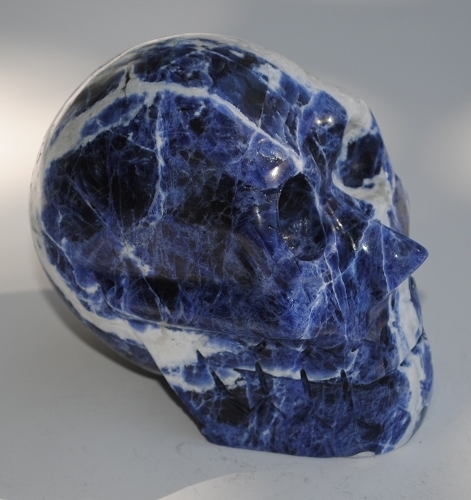 Indigo Blue large sized Sodalite Carved Skull. Sodalite’s energetic vibrations clears and stimulates the auric field connecting with universal light energies and bringing them into harmony and alignment. Sodalite further supports the physical body as it evolves to match these new changes in energy as these higher vibrations are assimilated. A crystal of insight, Sodalite's energetic vibration connects to your heart’s desire providing a direction of purpose and joy in your life. 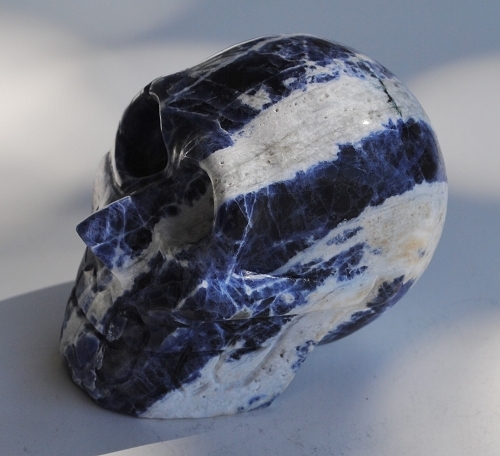 As a crystal meditation tool, Sodalite stimulates the pineal gland and the third eye chakra, is soothing for the mental state and helps to focus thoughts. 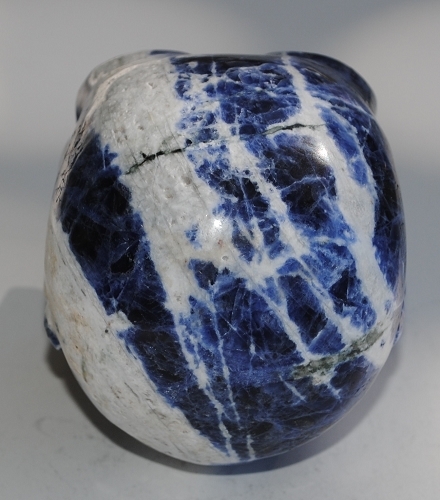 Sodalite may be helpful in creating a drive for truth and idealism while remaining true to yourself and your beliefs. Sodalite encourages trust in self and in others, mutual non-dependence, and allows one to understand their role in co-dependent relationships. Acknowledging extremes, Sodalite energetically supports the choice of the middle way creating balance in our lives. The deep blue hues of Sodalite crystals reminds one to go with the flow in life.